December update - new 16" wheels, electric aerial. Shot at Haytor Rocks top car park. Low sports car stance, a jump from the pop-up mk1, the dark colour suits the car. Delusions of grandeur - or can I see a little bit of E-Type nose here? Note new 16" wheels replacing standard 14". 205/45/16 also on their way. Really nice lines across the bonnet. If you get the light right, it's a very pleasing shape. Only a week into ownership, I've junked the cracked front numberplate plinth and installed a stick-on numberplate. What do you think? Hood is generally good, but has some wafer thin bits that'll need addressing at some point. Hole here for the mice to get in. The venerable MX5 has just reached it's 4th generation, and what a stunning looking car it is, especially in metallic red - I swoon every time I see one! You see here my dark blue 2nd generation example, which is not quite in the same league. Yes, it is a thing of ageing beauty, but also a reflection of my passion for trawling local classifieds for hidden gems. 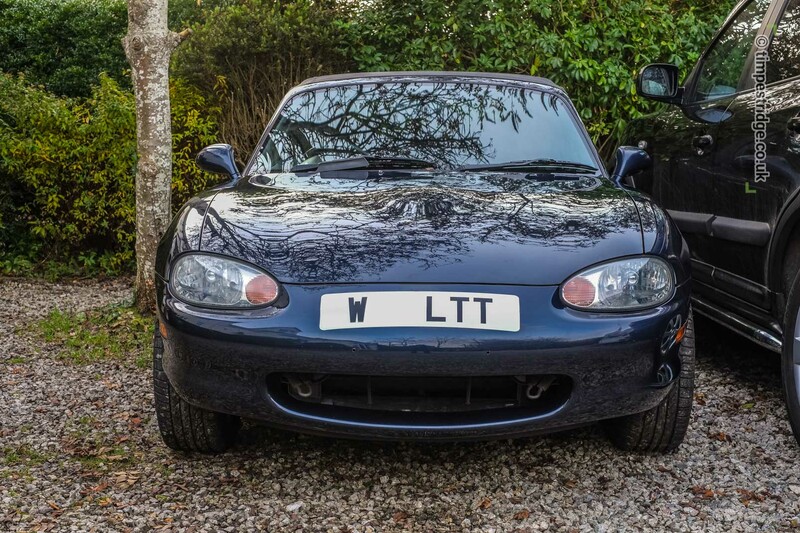 17 years and 88,000 miles means this particular MX5 is at the bottom of it's depreciation curve. 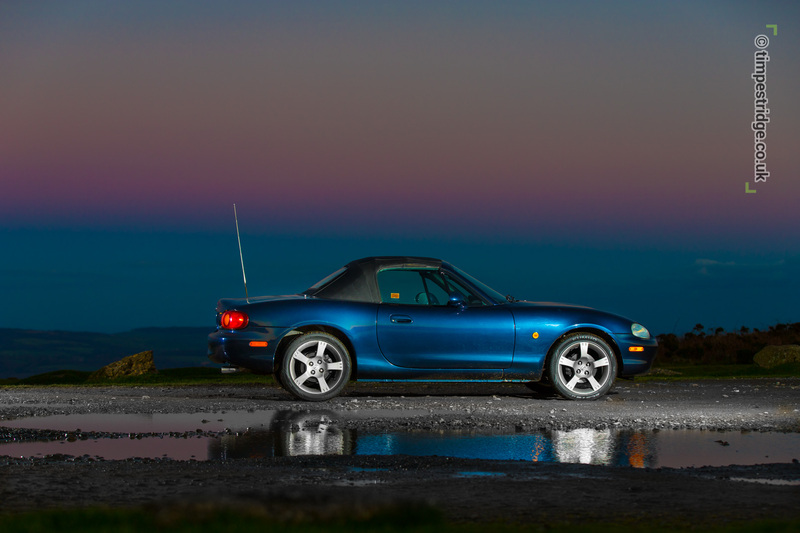 The mk2s are largely overlooked, purists preferring the Miata for originality, and being the first incarnation of Mazda's milestone small roadster. I'm warming to it's curvy looks. I found myself lured back into MX5 ownership having played a few games of GT Sport on the PS4 with my son. We scrolled around the glossy in-game car garage, the software showed the metal surfaces of each car reflecting perfectly. 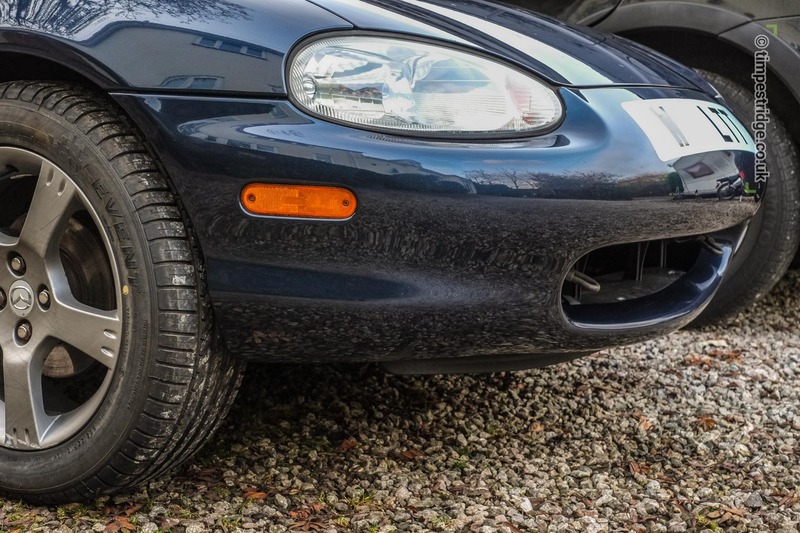 We looked at the MX5 Miata. I remembered with fondness my red mk1 MX5. 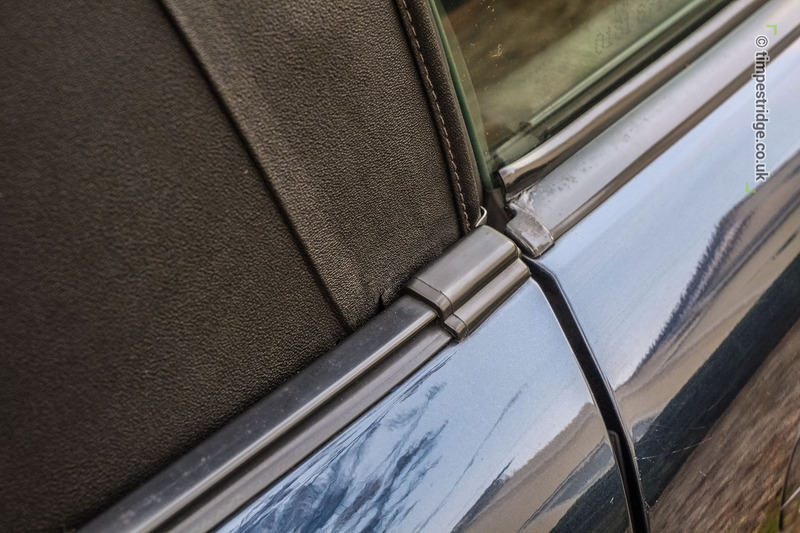 I put the back of my mind it's rusting sills, and the fact that I'd become over protective of the car, to the point that I stopped driving such a low-mileage treasure. This time, it would be different. 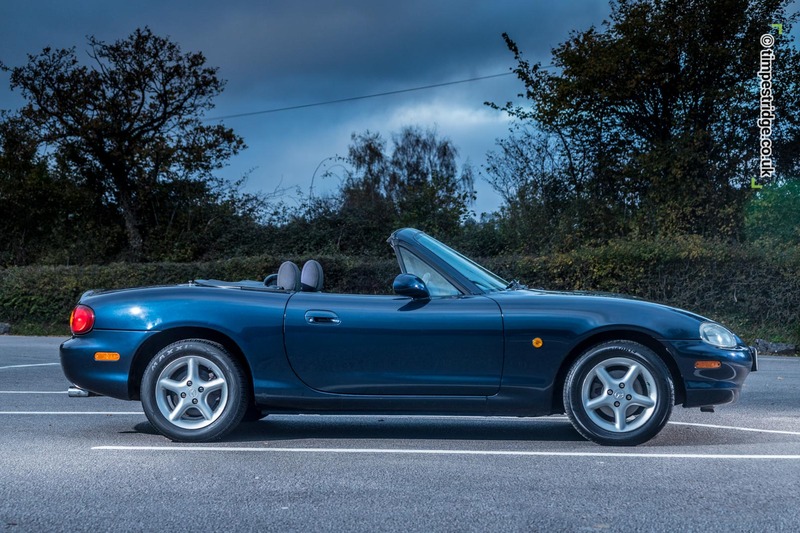 The primeval draw towards a nimble, high-revving soft-top, reliable, with a lithe chassis and incredible grip, leads you back to only one place - an MX5. But this time, I was going to move up to a mk2. 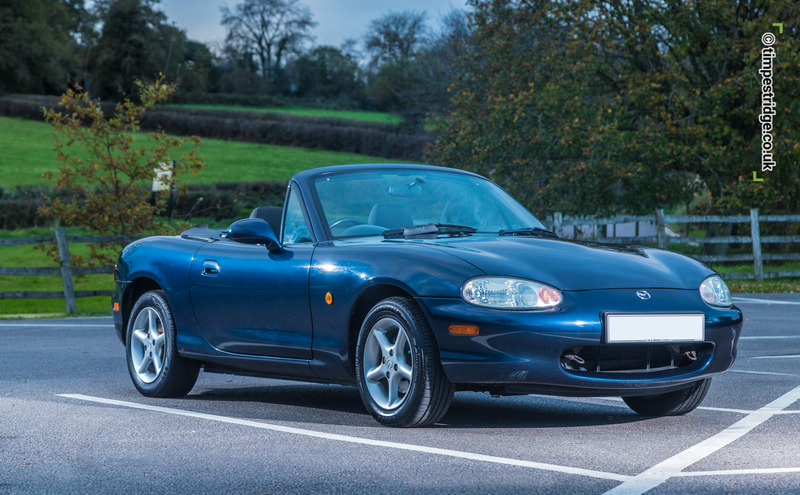 Straight off the owners drive, this year 2000 MX5 mk2 1.6 drove beautifully, still tight, no rattles, quiet engine - almost perfect. I knew it wasn't perfect cosmetically, or historically. I'd been warned that the car had very little service history. In practice, this meant the owner had only a couple of receipts from his ownership, for a service, and a waxoyl (I was pleased about that one), but that was about it. Bum. So the car had to be largely judged on condition. Hood was two thirds of the way through it's life. Scuffs to paint both sides of front lower bumper. Rear n/s sill patched this year for MOT (which is why owner had set to with Waxoyl.) Front driver seat stitched on bolster (where they all go). Cambelt claimed to have been done at 66k, but sadly, no proof. Stereo not working. Steering wheel foam come away from core on top half, feels wibbly. So we agreed a price - and after bringing her home, I set to with my valeting kit, and quickly bought a secondhand owners book off Ebay for £25. Since then I've been looking for any excuse to drive her, and I'm just not tiring of the tiny short throw gearlever, which is a sheer delight. 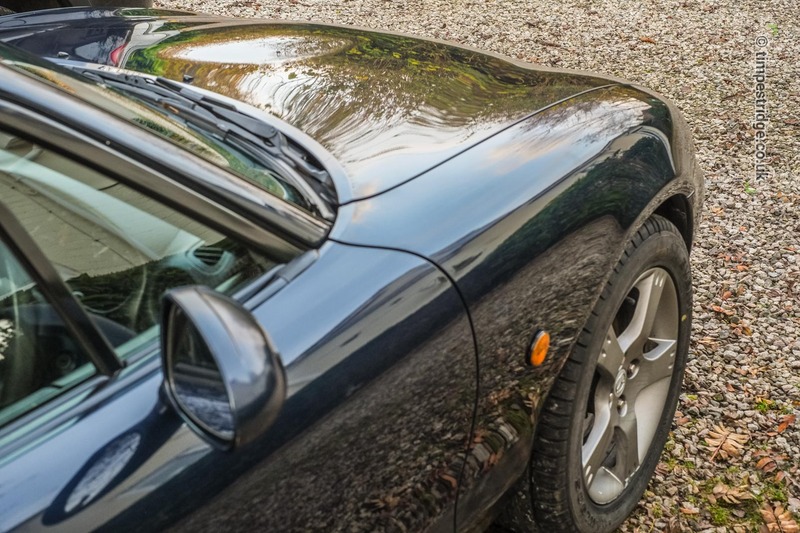 As a motorcyclist, the MX5's virtues bring you close to the sensation and freedom of a bike, but with some home comforts for the autumn and winter. Oh, and I've bought a new (used) sports back box off Ebay, and I'm going to do some ringing round and see if I can find anything of the car's history. Niggling thought: the owner mentioned a cambelt change at 66k, but without proof, I'll have to get in inspected myself. 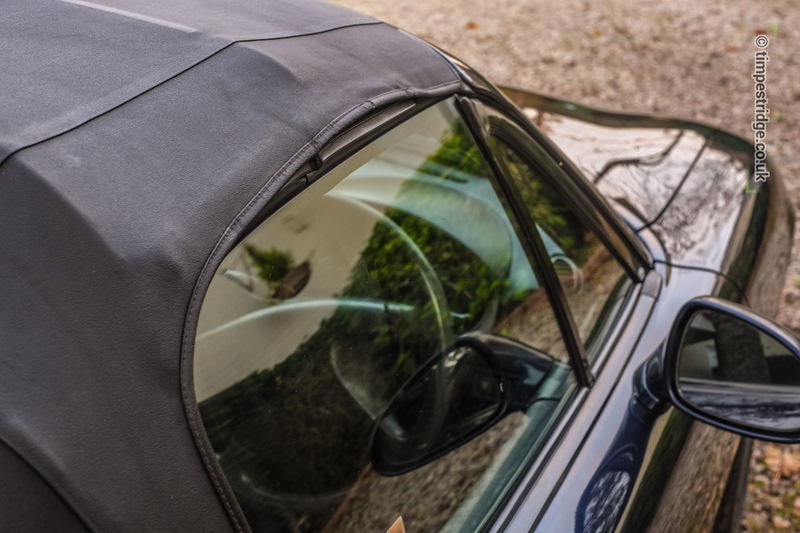 Learnt my lesson with the back box - the Ebay seller didn't specify which MX5 it was for, and Ebay suggested it would fit mine, BUT turns out it was for a Mk1. Fair play to them, they accepted it a as a return item, and I learnt a valuable lesson about double-triple checking what model I'm buying bits for.